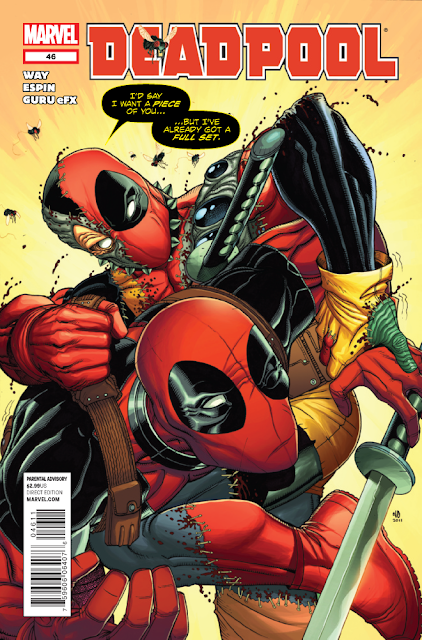 Marvel has provided the following preview of Deadpool #46, which comes out next week on 11/16/2011. 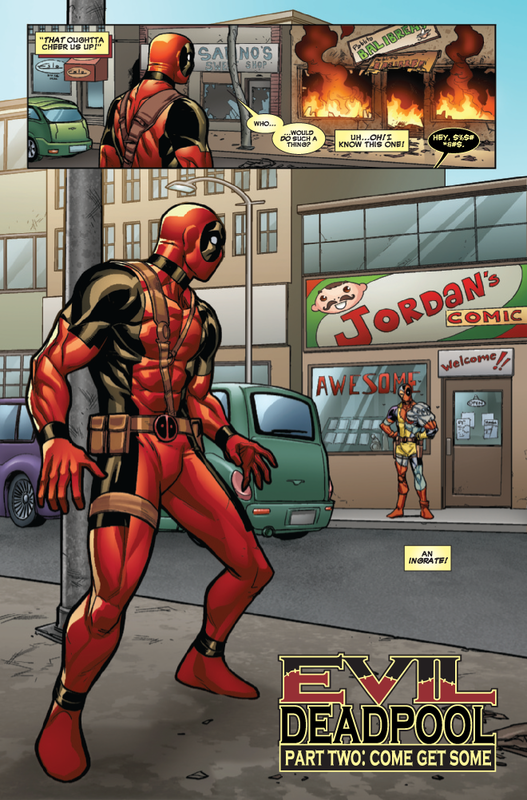 The merc with a mouth is now the merc with a twin...an EVIL twin! 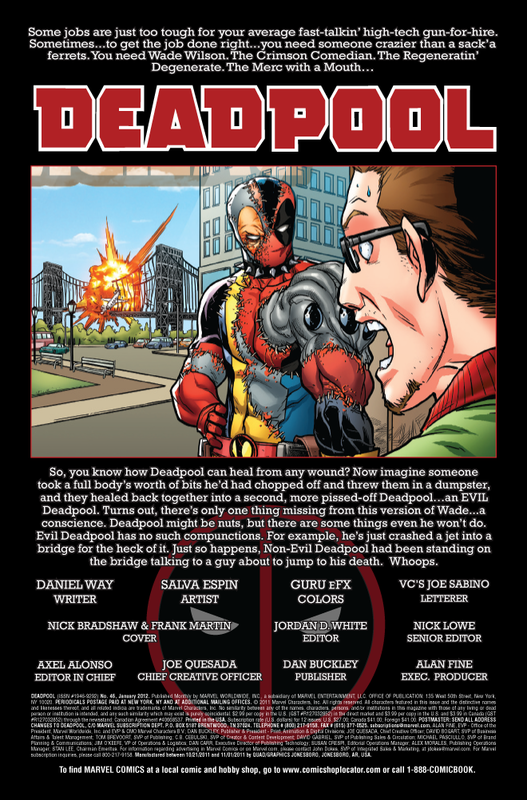 Deadpool comes face to face with a?re-animated collection of his former body parts, and the bullets fly! 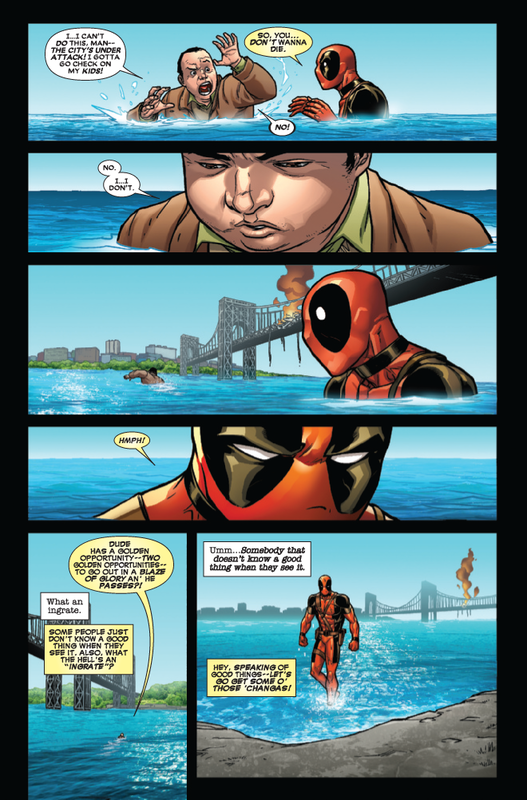 Having ONE Deadpool running amok in New York City is bad enough, but TWO?! 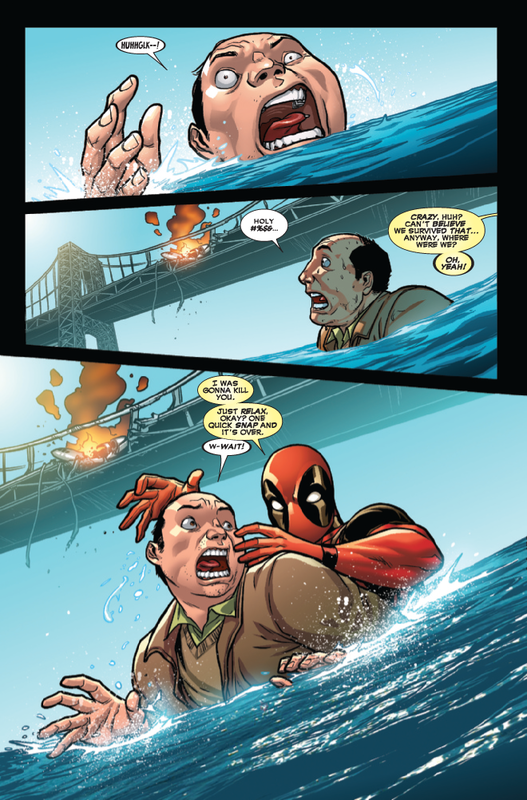 Someone has to stop this!